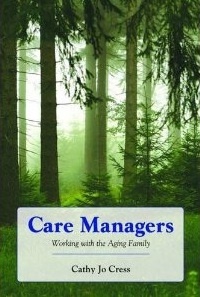 Long Distance family members are caregivers under constant stress. They have been flying or driving to both visit aging family members for a long time. These care givers at a distance usually understand that there parents are deteriorating with age and are savvy enough that they have researched options and already found you on the web ( a reason to have a great web site). When family gathers on Thanksgiving and everyone can see problems with an older person like memory loss or ambulation problems- the family may agree to call a care manager. Or the very stress of the holiday season on top of caring for an aging parent long distance may push the designated long distance care providers over the edge to seek help and call you. So be prepared for their inquiry and know the needs of long distance families well plus the resources in your area that you can suggest in your inquiry call. Do not give away the store in your call but let them know that you are an expert in the needs of long distance care providers and an ace navigator in your area that can find services and choices that are perfect for their needs. Aging Families gather for the holidays starting November 24. When they arrive to Mom and Dad’s home, they may find the older parents they dreaded. 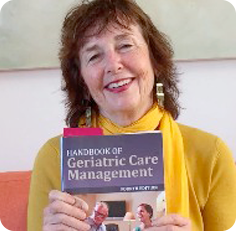 Subscribe to my Aging Life Geriatric Care Management You Tube Channel Geriatric Care 1 to watch Playlist 22- Holiday Meltdown in the Aging Family and find out how to solve those frantic call and get new clients. Kids who grew up in the 70’s will soon have Thanksgiving with their 70 or 80 year old aging parents.Will they recall the ” Ice Storm”? 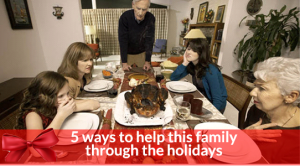 You can give them this list to assess their parents or older family members during the holiday season and compare notes on a post-holiday call with you. Below is a list of red flags. If they see any red signals on Thanksgiving, Hanukkah or face them on Christmas-encourage them that is the time to do something about it by hiring a care manager. You can give them this is a checklist of some worrisome they may seen. Set up a meeting when the midlife adult children return from the holidays. You have helped them proactively, begin to engage your services. When it comes to marketing a business, these last two months of the year I want you to be mindful of the clients that you already have! There is no better time than around the holidays to really show those folks how much they mean to you. Thanksgiving is around the corner, and it’s the time of year when we pause to think about everyone and everything for which we give thanks: good friends, loving family, a safe, warm home, an decent income. If you’re a geriatric care management agency owner, you’re probably thankful for your clients, referral partners, and employees, not just in November, but all throughout the year. When clients are happy, they’re more likely to give your agency a good online review or word-of-mouth recommendation. According to the 2013 Care Management Benchmarking study, past and current clients and their loved ones are the top referral source for agencies, and represented 25. % of median revenue in 2013. Online reviews are becoming increasingly important to the ranking of your geriatric care website. One way to create happy clients and employees and encourage them to leave good reviews and/or refer new clients or employees, is to show them love all year long. A geriatric care marketing expert and expert at giving thanks, here are the top ways to show your clients, referrals, and employees how thankful you are for their contributions to your business. Learn the best ways to say “Thank You” to your clients, referrals and employees. Clients who live long distance cannot be personally gifted. – Make a donation to a food bank in their name and send it with a handwritten holiday note. Twenty-five dollars is worth keeping a case through personal thanks fullness. 4. Use your network to give the client a service as a gift. Do trades with your network partner. Exchange a ride in senior transportation with an hour’s free consultation with you. Exchange an hour of an elder lawyer’s times with a two-hour consultation with you. It is a win way to have you both get more clients, save money, and most of all thanks your customers. 5. Use Pinterest and Facebook to find the perfect gift. If the client who is paying you (adult child) has a Facebook page find their favorite things. Then use Pinterest to look for that gift or get ideas if Facebook is not an option.